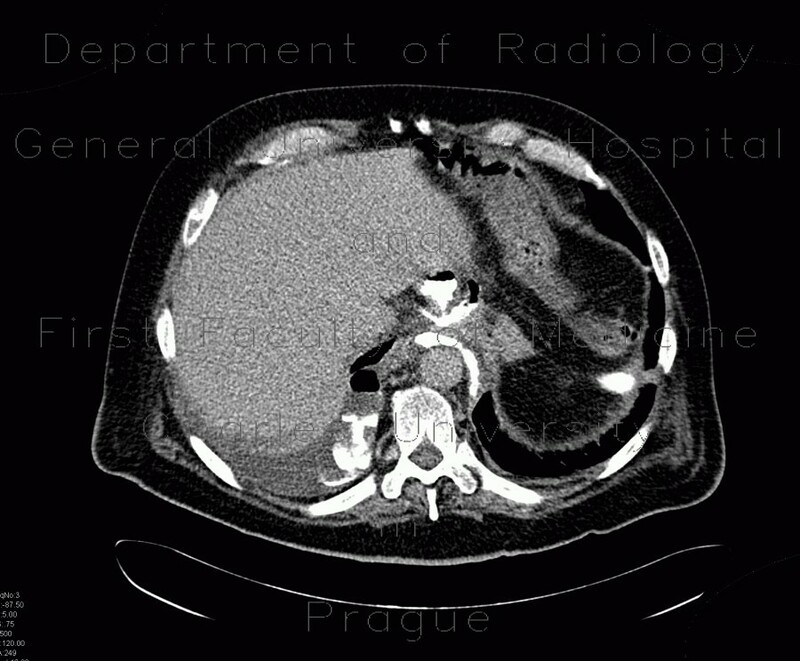 CT of the thorax and epigastrium in a patient after resection of distal esophagus shows anastomotic leak, which is clearly outlined by leaking contrast that was ingested. The right pleural cavity contains fluid with air bubbles and a small amount of contrast. Follow-up CT after placement of stent into the distal esophagus shows circumscribed collection of fluid in the right pleural cavity and residual leak of contrast.